Top by PETER HAHN in pull-on style with drop shoulder. 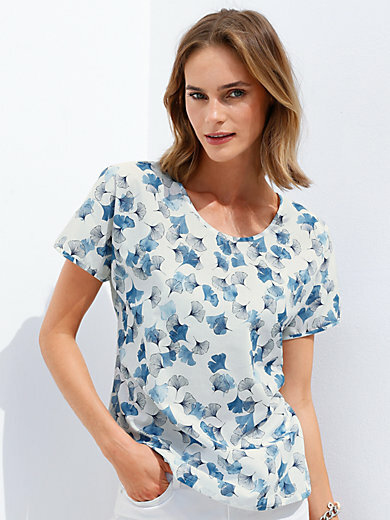 Delicate, lightweight summer fabric with leaf print in fresh shades of blue, making every top unique. Straight style with small buttoned back vent. 100% cotton. Length approx. 26ins. The top is machine washable.